Featuring the birds’ lives in North Sulawesi. Situated in wallace line, Sulawesi is a natural beauty. It is the largest and the most geological complex of all the islands of Wallacea. Because of the repeated collision between these two bio-geographical zones. It includes the birds life. 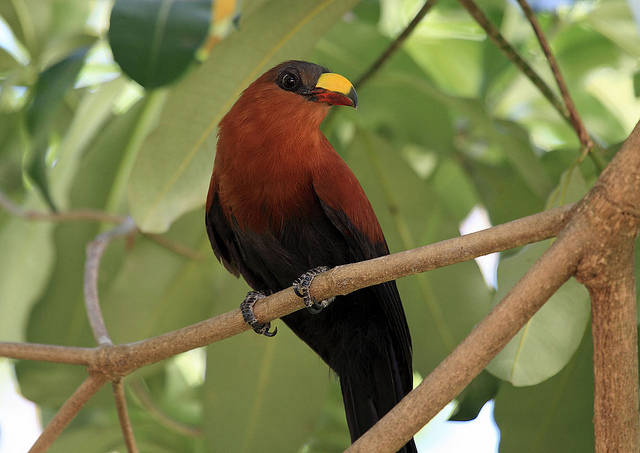 In Sulawesi or Celebes live many birds. They are including approximately 244 type of birds on the main land. 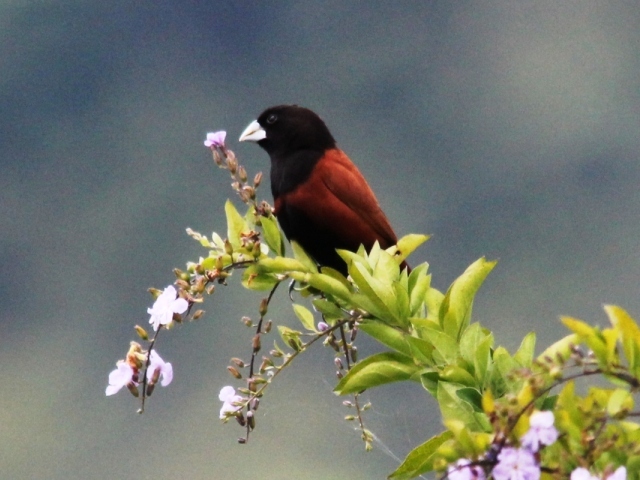 41 of them are endemic birds. This bird watching trip will show you some of them in their real habitat. Arrival in Sam Ratulangi International Airport. After the meeting service, we transfer you to Tangkoko Nature Reserve in Bitung. Sulawesi Hawk Eagle (SE);Yellow Breasted Racquet-tailed Parrot (SE);Hairy-crested Drongo; Sooty-headed Bulbul ;Silver Tip imperial Pigeon (SE); Yellow Billed Malkoha (E); Sulawesi Black Pigeon (SE); Finch Billed Myna (SE);Buff Banded Rail ; Channel Billed Cuckoo ;Golden Mantle Racquet Tailed Parrot (E); Rainbow Bee-eater; Green Backed Kingfisher (SE); Black Sunbird ; Lilac Cheeked Kingfisher (SE); Sulawesi Babbler (SE); Ruddy Kingfisher ; Red Backed Thrush (SE); Blue Breasted Pitta ; Brown Cuckoo Dove ; Emerald Dove ; Black Napped Oriole ; White Napped Myna (SE); Red Knob Hornbill (SE); Ashy Woodpecker (SE); Pale Blue Monarch ; Yellow Sided Flower-pecker (SE);White Rumped Cuckoo-shrike (SE); Pied Imperial Pigeon; Sacred Kingfisher ; Sulawesi Masked Owl (SE);White Breasted Wood-swallow; Black Billed Kingfisher (SW); Grey Cheeked Green Pigeon ; White Bellied Sea Eagle; Olive Backed Sunbird ; Grey Sided Flower (SE); Black Fronted White Eye; Sulawesi Cicada Bird (SE). Note: We spend the next two nights in Doloduo at Tante Min Homestay. Habitat type: 4 hr drive to Tomohon a mountain forest via Molibagu Road a winding Lowland Rainforest road. Rufus Bellied Eagle; Brown Cuckoo Dove; Mountain White Eye; Dark Fronted White Eye; Scarlet Honey-eater (SE); Crimson Crowned Flowerpecker (SE); Sulawesi Spotted Goshawk (SE); Sulawesi Serpent Eagle (SE); Bay Coucal (SE); Yellow Bellied Malkoha (SE); Superb Fruit Dove (WE); Citrine Flycatcher; Streaky Headed White Eye (SE); Grey Sided Flowerpecker (SE); Island Verditer; Sulawesi Dwarf Woodpecker (SE); Mountain Tailorbird; White Browed Crake; Cinnamon Bittern; Scaly Breasted Munia; Cinnamon Munia; Little Egret; Wandering Whistling Duck; Ziting Cisticola; Lesser Coucal; Glamorous Reed Warbler; Javan Pond Heron; Black Kite; Brahminy Kite; Blue Breasted Quail. On your own leisure until the time to check out from the resort, and we will transfer you to the airport or other place for next destination. Some resorts don’t have hot water such as in Tangkoko and Dumoga Bone Nature Reserve. In Tomohon, all the resorts are good with modern toilet, cozy room, hot and cold water shower.